The first data layer is the results of a Critical Linkages analysis of dams based on the ecological restoration potential of dam removal; larger circles represent greater restoration potential. Priority crossings for possible culvert replacement or retrofit are represented by green dots and triangles. If these are not visible, use the plus sign to zoom in. You can layer in locations for the top 5%, 10% and 15% of crossings with the highest restoration potential as estimated by landscape modeling; darker green represents more potential for restoring aquatic connectivity. Green dots are crossings that have been assessed in the field and the potential for restoring aquatic passability is reliable. Green triangles are crossings that have not yet been assessed and the restoration potential is hypothetical. Data are from the Critical Linkages Phase I (2016). Top 5% and 10% Coldwater Stream Crossings (blue dots and triangles) are from a specialized run of Critical Linkages for coldwater streams (summer mean temperature < 16C) conducted in 2017.The last layer is data from the River and Stream Continuity Project (now the North Atlantic Aquatic Connectivity Collaborative) database of road-stream crossings with assessed crossings categorized base on how much of a barrier they represent for aquatic organism passage. Fish and wildlife need to move in order to eat, reproduce, avoid predators, respond to changing habitat conditions, and maintain healthy local and regional populations. Species that inhabit wetlands and aquatic ecosystems often rely on an interconnected network of streams and rivers as pathways for movement. Fully aquatic species (fish, mussels, crayfish) travel through the water while semi-aquatic wildlife (turtles, salamanders, beaver, mink, otter) move along streams, utilizing both water and adjacent upland or wetland habitats. Downstream movements are not generally difficult for wetland and aquatic species unless they have to pass over a dam or through a hydroelectric turbine. In fact, much downstream movement occurs involuntarily during flood events. Upstream movements are much more difficult as aquatic organisms must make headway against the current and contend with shallow riffles, natural waterfalls and cascades, and a variety of human-created obstacles such as dams and road-stream crossings (bridges and culverts). 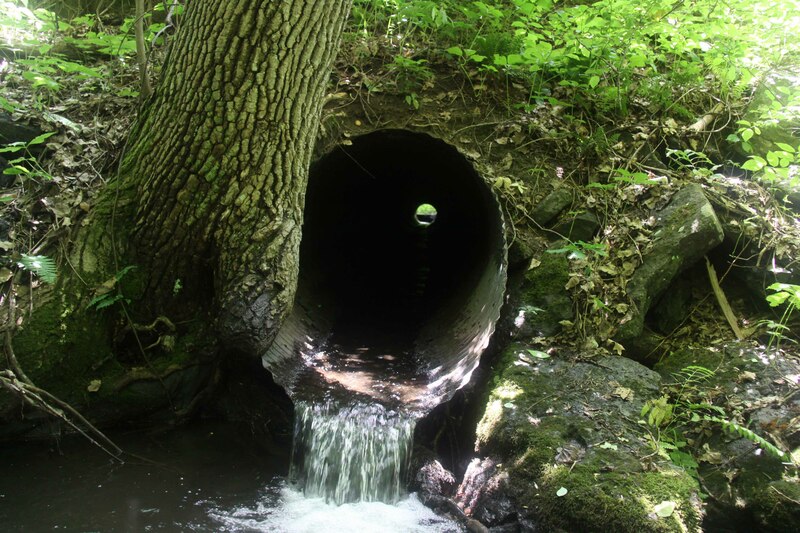 Yet, without upstream movements that counter the inevitable downward shift in organisms, headwater streams would be depopulated of fish and wildlife. Rivers and streams are long, linear ecosystems that stretch out across the landscape. As such, they are highly vulnerable to fragmentation due to barriers such as dams, channelized and buried stream segments, and the numerous intersections of roads and streams. Under normal conditions, this fragmentation is a serious conservation challenge. Given the stresses anticipated with climate change – increased water temperatures, changes in the amount and timing of water, more severe flooding, and more frequent severe storms – aquatic connectivity will be increasingly important in order to maintain healthy populations of fish and wildlife and resilient wetland? and aquatic ecosystems.